Christmas is a great time to be in Tokyo: The city is decorated with incredible lights and displays and everything is still open (unlike New Year’s). Here is a list of great Tokyo Christmas activities and events. While most Japanese are Buddhist and Shinto, they’re happy to celebrate the outward trappings of Christmas, including shopping, dining and decorating public spaces. 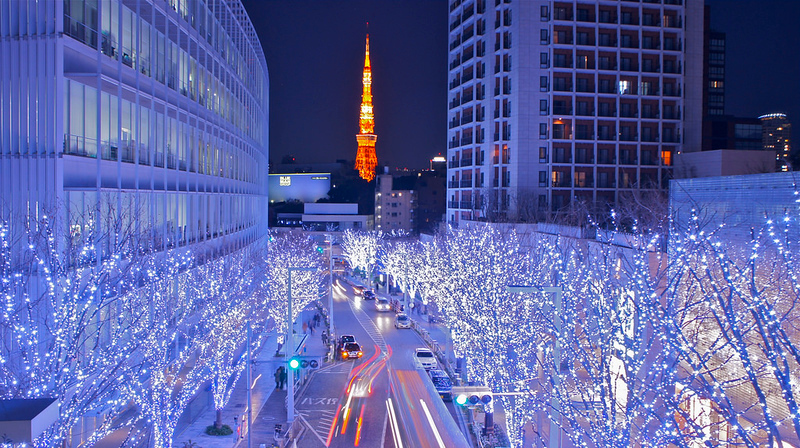 If you’re in Tokyo in Christmas, here are some suggestions for things to do and where to stay. Tokyo Station and the Marunouchi Area: The Marunouchi side of Tokyo Station (the side closest to the Imperial Palace) is a great place to enjoy the lights. 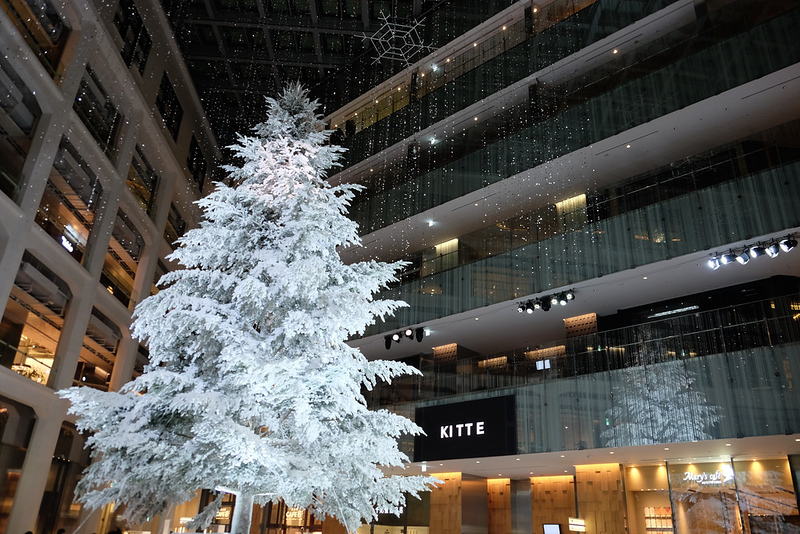 The Kitte Building, which is outside and to the left of the station, contains the largest Christmas tree in Japan at over 14 meters. Gyoko-dori Street, which runs directly from the station to the palace is home to a huge lighting display known as Michi-Terasu, and the Naka-dori Street, which crosses it, is also festively decorated. Harajuku’s Omotesando Street: This wide boulevard in the fashionable district of Harajuku is one of the most attractive streets in the city and it looks great when decorated for Christmas. Roppongi: Roppongi is manthe locals’ favorite spot to see the Christmas lights. You’ll find the best displays at Keyakizaka Street, the Roppongi Hills Complex and the Tokyo Midtown Complex. Odaiba: Odaiba is a bit out of the way, but there are several good lighting displays here around Christmas. Decks Tokyo Beach has some nice lights and the Gandam Statue at Divercity Tokyo is always festively illuminated. As a backdrop to it all, you can enjoy the lights in the windows of the giant Fuji Television Building. A nice dinner after checking out the holiday lights is a great idea. 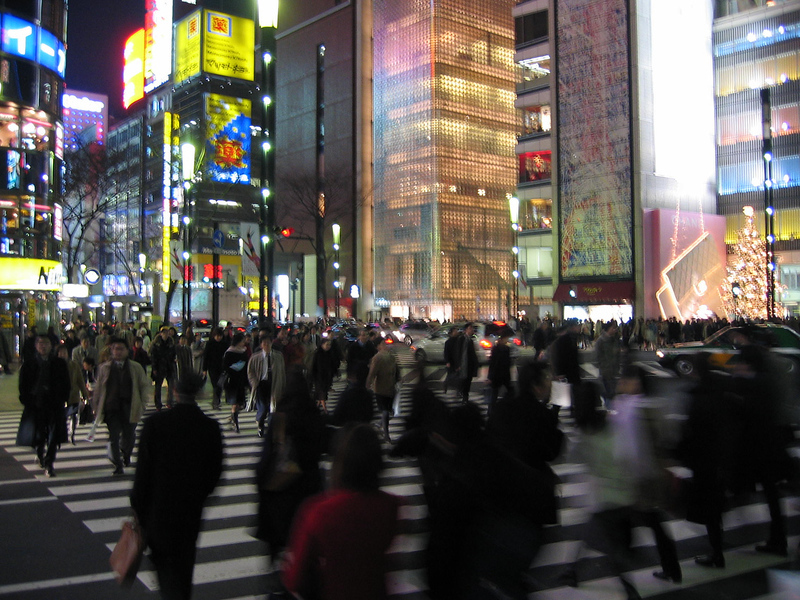 Just be warned that Christmas Eve and Christmas Day are huge date nights in Japan. You can expect most high-end Western restaurants to really jack up their prices during this time. If you want to join the crowds for a special meal out at a good French or Italian restaurant, be sure to reserve well in advance. A lot of Japanese restaurants also serve special meals (at inflated prices) on these days, but you can usually find better deals and open tables if you are willing to eat Japanese food on these days. See our Best Tokyo Restaurants page for some tips. Ginza: The big department stores in Ginza are sumptuously decorated for Christmas. 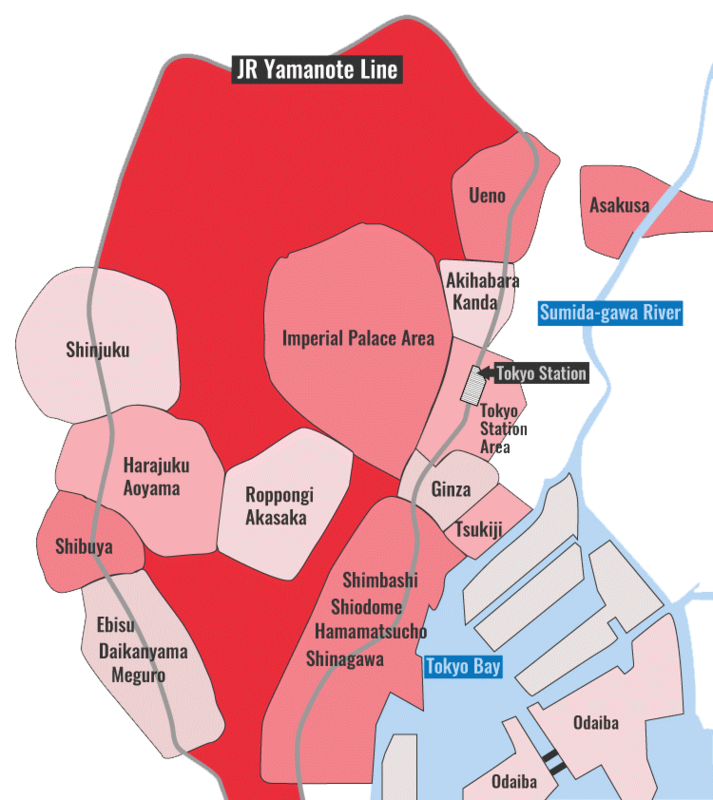 Our favorites are Mitsukoshi, Wako and Matsuya. In addition to the department stores, many of the smaller boutiques will be decorated for the season and the holiday shopping and strolling here is the best in the city. Shibuya: If you’re looking for a more youthful shopping experience, head to the big department stores and smaller shops crammed into ultra-trendy Shibuya. It’s more crowded than Ginza, but it’s worth dealing with the crowds to experience this side of modern Tokyo. Mandarin Oriental Tokyo: Within walking distance of the festive lights of Marunouchi and the great shopping of Ginza, this superb hotel is a natural choice for Christmas in Tokyo. Peninsula Tokyo: Another choice within walking distance of Marunouchi and Ginza, this rivals the Mandarin as our top hotel pick in the city. Ritz-Carlton Tokyo: If you want to be in the fine dining and nightlife capital of Roppongi, this is the top choice. It sits atop the Tokyo Midtown Complex, which has some of the best Christmas decorations in Tokyo. Shangri La Tokyo: Right above Tokyo Station, this hotel offers superb rooms and easy access to the lights and shopping of Marunouchi and Ginza. Visit our New Year’s in Tokyo page for details on year-end festivities in the city.